Whether it's your first or your fifth, choosing a home is an important decision. You're making a large investment, and you want the most for your hard earned money. This is not "just" a house... this is a home... a place to nurture relationships, raise children, and build your future. You want this private sanctuary to suit your practical needs while fulfilling your individual dreams. A custom built home can meet and exceed all of those expectations. What are you looking for in a building experience? With over eighteen years of experience in the general contracting industry, Dincau Construction Incorporated is here to make your vision a reality. 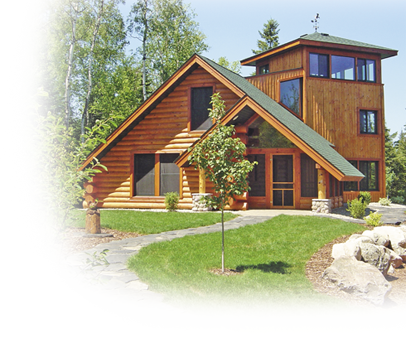 From planning your custom home, garage or cabin to remodeling or adding on to an existing structure, we provide professional, personal service. We pride ourselves on the quality of our work--and you will be proud to show off that modern home, freshly remodeled room, or rustic log retreat when we are finished!